2010-2014 GEN1 Ford Raptor and F-150 Front and Rear Alcon Heavy Duty Brake kit. Front 6 piston and rear 4 piston calipers. Fits Gen 1 Raptor and all F150 variants listed. 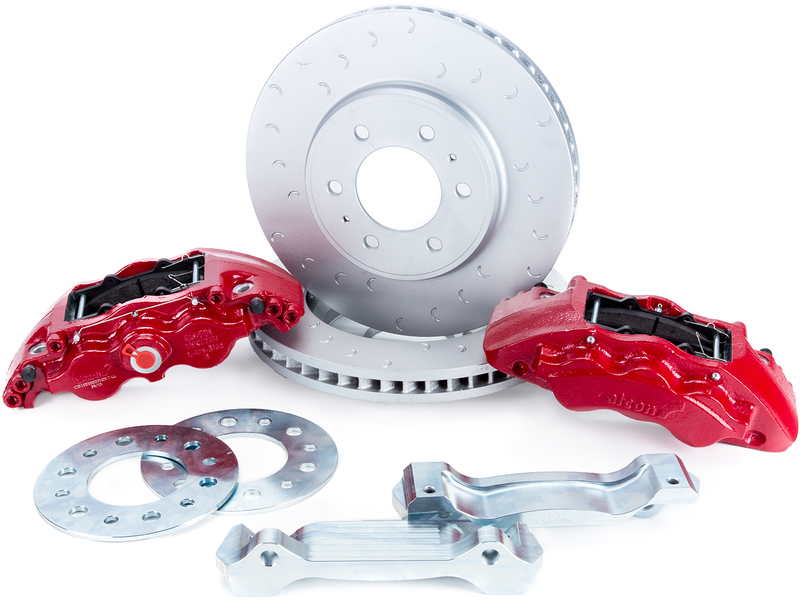 Alcon introduces the Ford Raptor / F-150 Complete Heavy Duty Brake Kit for the Gen1.. This kit represents a substantial upgrade in braking performance and includes features not found in any other kit. HIgh temperature seals as used in motorsports applications, dust seals for performance in the worst conditions, and a low profile designed to fit under your OEM wheels. These kits include everything you need including calipers, adapters, spcers, hardware, and performance brake pads! The kit is compatible with your stock master cylinder AND parking brake.